Here’s another bike made from old cars project and this one is called Project Carma. We previously featured, and presented them on stage with us at SXSW, Bicycled. In Austin, Bicycled revealed they’ve sold more than 3K bikes. From their site, Carma is a creative project to right the wrongs of cars and just one was made. We’re quite interested in the upcyling of bikes from the junkyard. At the beginning of the year, ReCycle didn’t fund on Kickstarter. Their cruisers were made from recycled aluminum. Considering the handbuilt bike talent in the States and the amount of cars in junk yards, that’s a project we’d like to see happen here. 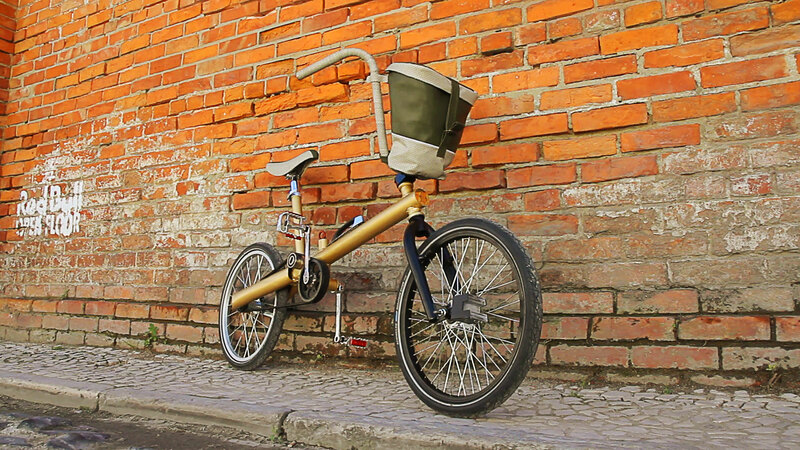 From muscle cars even, make a brawny city bike, a car porteur.